Going through my stats recently it occurred to me that you all love Donna Hay. This makes me incredibly happy because – as you may have guessed – I too love Donna. I have mentioned it many MANY times here before so it is wonderful to see that we are in simpatico 🙂My top ranking recipe of all time is her gingerbread biscuits / cookies [curious? Here it is: gingerbread cookie but every recipe I post of Ms Hays gets a good reaction. 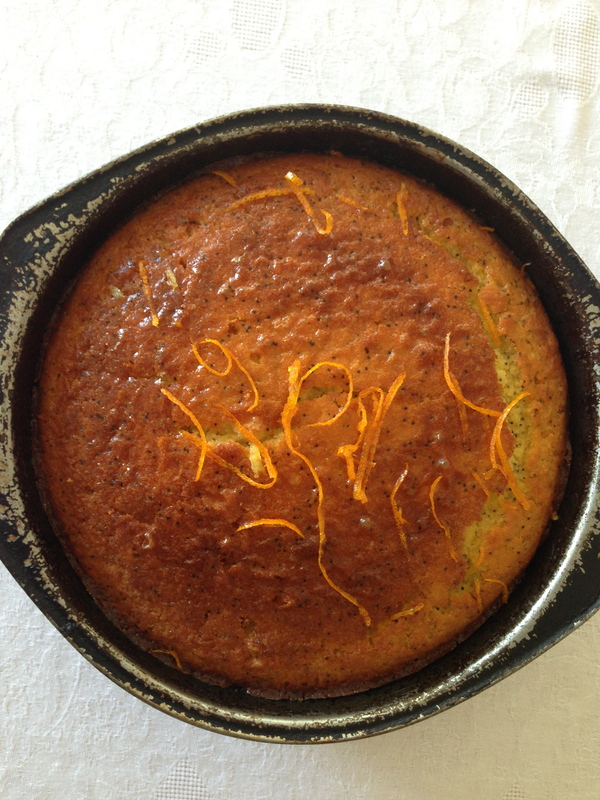 So allow me to present her orange poppyseed cake, as featured in one of my fav cookbooks Modern Classics 2. My mum gave me this book when I was pregnant with now Miss8 and it has had quite the workout. 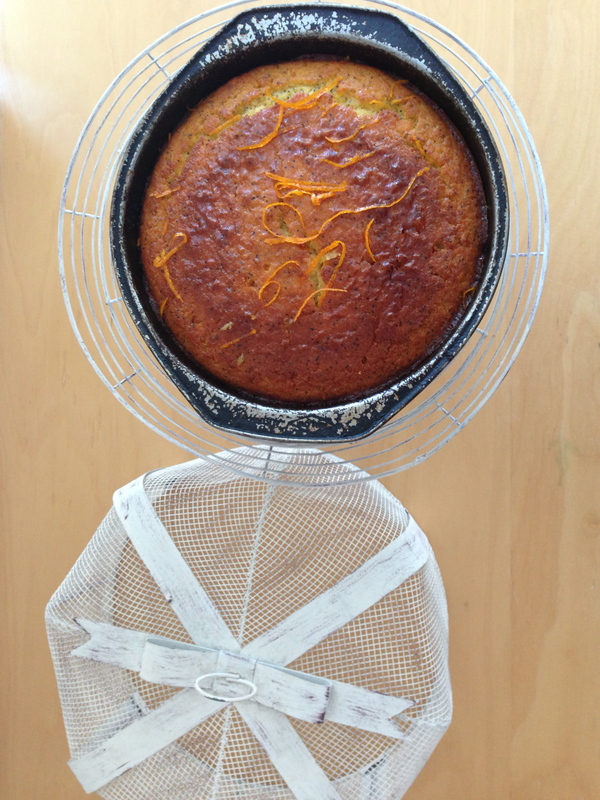 I had two random oranges looking quite lonely in the fruitbowl recently so I turned those pieces of neglected fruit into a delectable cake. And all was right with the world. As always I reduced the amount of sugar (in both the cake and the syrup) and used self-raising flour. Preheat oven to 160C and grease and line a 20cm round cake tin. Mix milk and poppyseeds in a small bowl; set aside. Place butter, sugar and rind in bowl of electric mixer and mix until combined. Scrape down sides of bowl, then beat in eggs one at a time. Add flour, orange juice, and milk poppyseed mixture and stir until just combined. Scrape into the pan and bake for around 40-50 minutes [if cake browns too quickly cover loosely with foil]. When cake is ready leave in tin. Meanwhile, make syrup: place all ingredients into small saucepan and stir over low heat until sugar dissolves. Increase heat and boil for five minutes or until thick. Using a skewer make a few holes in cake then pour over the syrup. cheers! Hope your day is fab. Where have I been? I have never heard of Donna Hay. But not only is that one beautiful cake – that cake platter with the cover are absolutely gorgeous!!! Oh my goodness! Wouldn’t this be a lovely Sunday brunch treat?! It would be *perfect* for a Sunday brunch 🙂 I like the way you think! It is my mum’s favourite! I’ve never heard of Donna Hay before reading your blog but I’m so happy that you’ve introduced me to her! Perhaps she hasn’t quite reached the North American market yet. Your cake looks beautiful! Awww, thanks 🙂 Make it & let me know what you think! cheers! If you like the look, you’ll love the taste. It is SO easy but elevates a cake to another level! Hope you do try it, is a real winner. In Greece we make many syrupy cakes and we love them because they are so fluffy and juicy just like this one! Thanks for coming and linking up at The Weekend Social. All posts get pinned in our pinterest board! Please be sure to come back next week starting Thursdays at 9PM EST on culinaryflavors.gr ! I hope to see you there! Beauddifull! I’ve got a marble cake in the oven right now, but your cake is next on my list. Yumm. This cake looks beautiful! Poppy seed and citrus is one of my fave combinations 🙂 And you can’t go wrong with Donna Hay! another Donna fan! There’s an army of us 🙂 This cake is so simple yet special, hope you get a chaace to make it. Oh, thank you! What a lovely comment to read – made me uber-happy 🙂 Donna Hay is probably the Australian Martha – although on a much more ‘doable’ level, if you know what I mean. That gingerbread recipe is one of the most popular recipes on my blog! I love poppy seeds it’s the only way I would ever eat a bagel…I shall give them a shot with this recipe. Happy Nesting. Poppy seeds are so great, aren’t they? And I love bagels, too. I’ve never combined poppyseeds with orange, just lemons. I don’t know why cause this looks like a gloriously delicious and moist version. Poppyseeds and citrus of all types are BFFs. 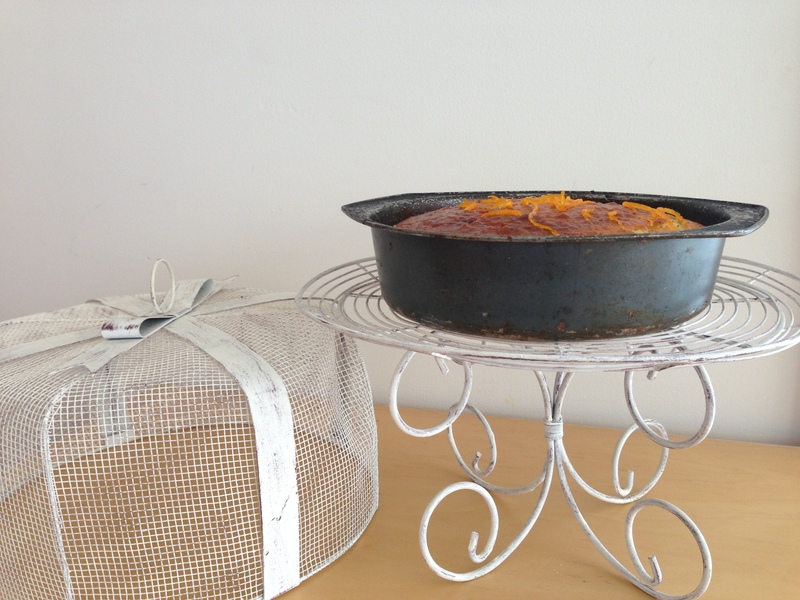 I need to make this cake again – it is such a hit. Love this simple cake with the touch of surprise…the poppies. Also love the baking pan. Happy baking! Is there a thermomix conversation for this recipe ? hi, I don’t have a thermomix so nope. Good luck if you try it – let me know how it goes. Hi Bradee, not fan-forced, just 160C. Cheers. Thanks Georgia, it is one of my v fav cakes. Yes, Australian cups are used, at 250mL is correct. Hope you love this cake!